Folding tables are mobile and ideal for rooms that require flexible furniture that can be conveniently moved to the side or stored away. 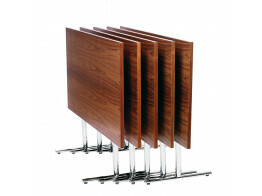 Folding tables work really well in meeting rooms, seminar environments, conference rooms, and staff restaurants. Our innovative range of multi-functional folding tables, offer numerous options starting from cost-effective solutions to high-end folding tables. All the folding tables shown here are quality tables that come with their respective manufacturer guarantees. Using folding tables or demountable folding leg tables give you the freedom to use space more effectively, allowing you to fold away tables neatly and compactly to store for later use. We at Après believe in customer service and are here to assist you make the right decision when selecting a functional flexible table solution. If you have any questions regarding any one of the folding tables in our selection or just want advice, please feel free to give us a call. 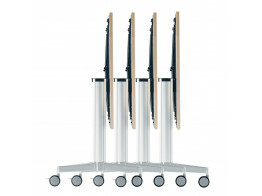 Skill Folding tables can be configured for conference rooms, seminars and workshops. 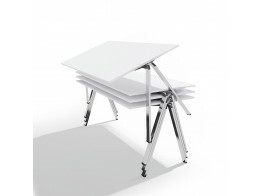 Yuno Stacking Table is a smart alternative to folding tables with innovative frame design. 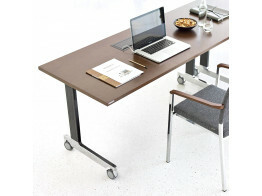 N_Table Folding tables with flip top and integrated cable management is ideal for flexible rooms. 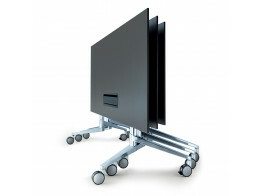 Confair Folding Tables are mobile and linkable thus ideal for dynamic conference and training spaces. 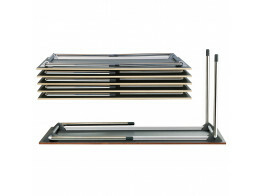 Flex Folding Table is a mobile meeting table solution for multi-functional meeting environments. 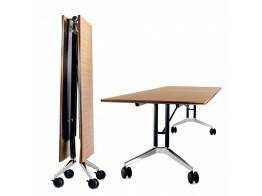 Tempest Flip-Top Tables are great space saving and mobile meeting and training table solutions. Moveo Folding Tables won the Gold Award in the “Best of NeoCon” competition in Chicago. 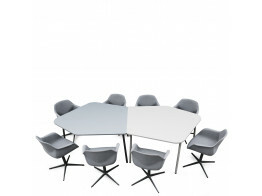 Plico is a new progressive folding table concept, ideal for training, conferences and office meetings.